From 10 litres up to 36,000 litres and more, we supply AdBlue throughout the UK, at the most competitive prices in the industry. AdBlue (AUS32) is a diesel fuel additive that has been introduced to help eliminate the harmful emissions released by heavy vehicles used daily on our roads. 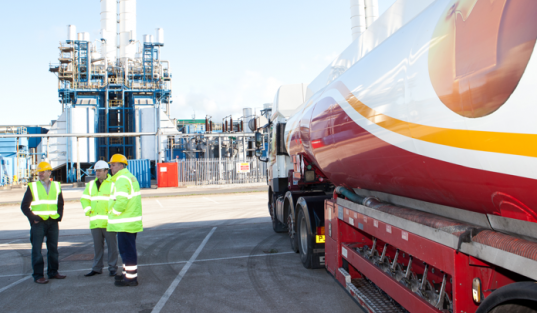 The use of diesel exhaust fluid (DEF) in modern diesel vehicles has become a requirement in order to help achieve the UK Government’s 80% carbon-reduction target by 2050. It’s actually a legal requirement if you drive a modern heavy goods vehicle to limit the amount of harmful exhaust emissions being emitted and as so, the use of AdBlue to achieve this is becoming more common in modern diesel-fulled cars. As an official supplier of AdBlue, Crown Oil can supply it to you at competitive prices and in a wide range of quantities. Don’t worry if you haven’t got room to store 5,000 litres of AUS32, we also provide AdBlue storage tanks which are perfect for keeping your AdBlue clean and safe. If you need to purchase AdBlue for your diesel vehicles. Speak to one of our friendly team today on 0845 313 0845. Through a process called Selective Catalytic Reduction (SCR), AdBlue reduces the harmful emissions which are released from diesel engines as the fuel is burned. AUS32 (Aqueous Urea Solution 32.5%) is the official name for AdBlue although the majority of people who use this additive call it AdBlue. It consists of 32.5% high purity urea and 67.5% of de-ionised water, giving it its scientific name AUS32. The AdBlue trademark is currently held by the German Association of the Automobile Industry (VDA (Verband der Automobilindustrie)). Clicking the link will take you to their page with additional notes about this diesel additive. 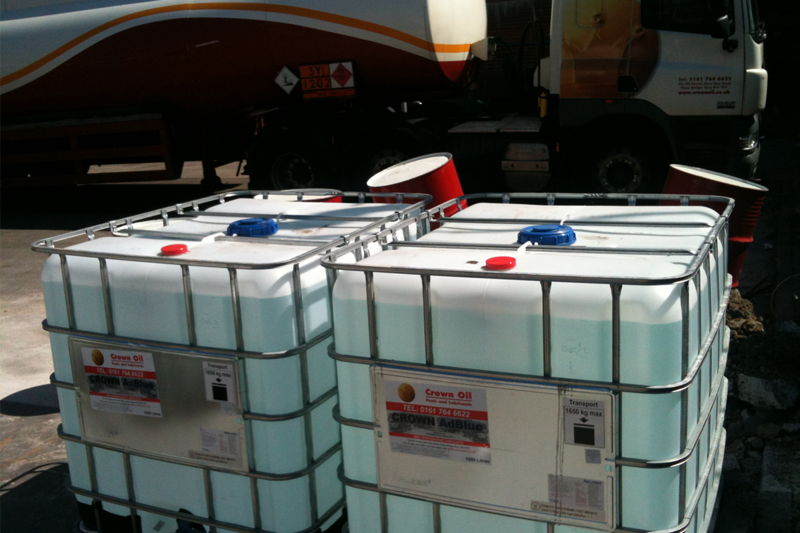 Modern heavy goods vehicles fitted with SCR technology are required to use AdBlue by law. As of October 2006, all vehicles above 7.5 tonnes are manufactured with this technology. This includes industrial vehicles, buses and trucks. Your diesel fuel will never come into contact with the solution as it is stored in its own designated tank with a sensor system and gauge. It is sprayed onto the exhaust fumes soon after combustion and works from there. AdBlue fluid is an additive used after the combustion process and isn’t always considered an additive in the conventional sense. A fuel additive is generally defined as a liquid that is added to the fuel itself, whereas AdBlue is added to the exhaust fumes before they’re released into the atmosphere. The rate of consumption for AdBlue is approximately 1:20 of the rate of diesel fuel usage on standard Euro IV, Euro V and Euro VI trucks. AdBlue solution is sprayed into the exhaust stream of modern diesel engines as a post-combustion process. Water vapour, nitrogen and carbon dioxide are released from the vehicle’s exhaust when AdBlue is used. NOx (nitrous oxides) are usually released from a vehicle’s exhaust which are damaging to the environment. Through the process of SCR, the AdBlue solution breaks down the NOx emissions and outputs much cleaner and safer levels of emissions. To reduce the pollutant levels across Europe, using SCR technology has become a legal requirement when manufacturing heavy goods vehicles. As diesel burns within your vehicle’s engine, it is forced through the exhaust system and expelled out into the air that we breathe. Before the emissions are released, the AdBlue formula is sprayed onto the harmful gases and the SCR Catalyst breaks down the bad stuff (Nitrous Oxides). Once that’s done, all that’s left is nitrogen, water and CO2 to be expelled from the exhaust system. Check out the diagram below which shows AdBlue’s Nitrous Oxide reduction in action. While storing AdBlue is straightforward, it must be kept between -11oC and 30oC to maximise its 12-month lifespan. 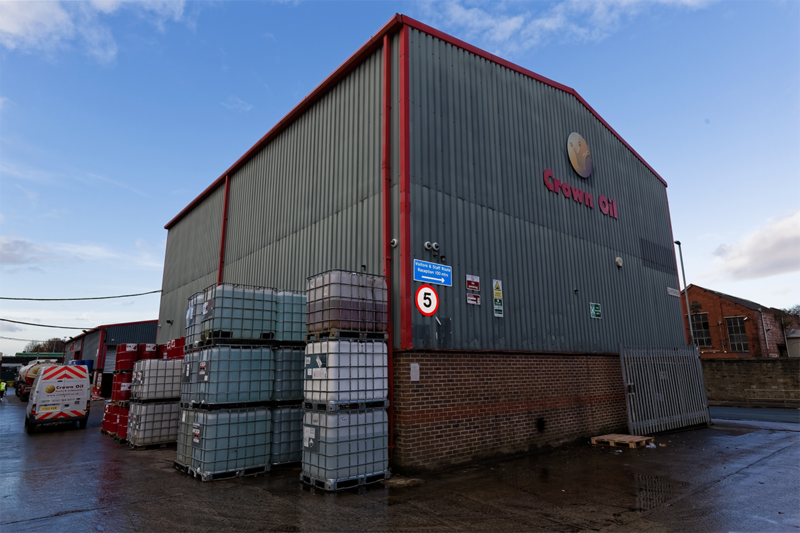 We supply a wide range of storage tanks to safely store the diesel additive, in addition to both hand and electric pump options depending on your needs. As AdBlue is corrosive, these pumps make the dispensing process easier and safer, but you should always use it with care and be sure to wash your hands thoroughly after contact. If you require any assistance regarding the storage of AdBlue, please speak to one of our knowledgeable staff for further advice and information regarding the ecological and economic benefits. Call 0845 313 0845 today.